Are you looking for the good quality prefab and/or passive house in Ukraine for a reasonable price? You are at the right place! We provide great value for money for prefabricated houses in Ukraine! What materials do we use for prefabricated houses? С24 contsruction wood for studs and beams (KVH (www.kvh.eu) on request). You can send your own house design. Do you want to see what we have already built? 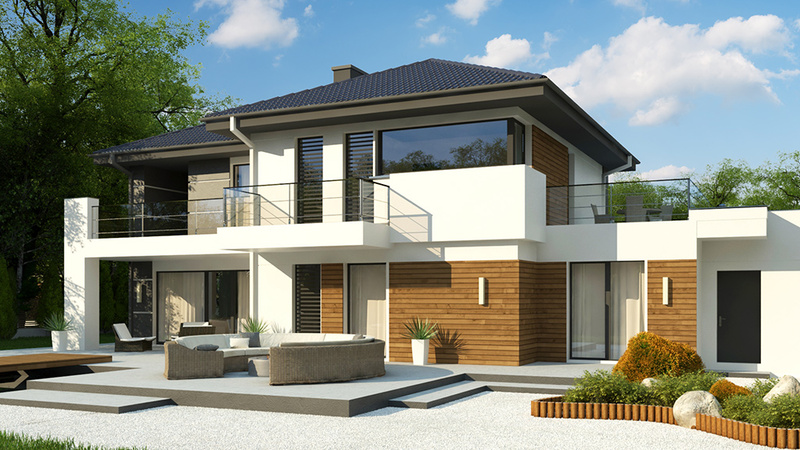 The designers we work with are certified by Passive House Institute from Darmstadt; they will design your new prefab house using rules and approach of Passive house designing. Thus, you with the improved indoor climate (temperature, CO2, humidity) as well as dramatically decreased monthly bills for the heating and air conditioning vs traditional houses. Our companyis the first one in cottage building industry, who obtain in Ukraine Passive housedesigning certificate. Why our price for prefabricated houses is lower than EU prices? The main reason - Avarage salary in Ukraine is the lowest in Europe while workforce is pretty qualified. Outside Ukraine we usually build our houses in cooperation with local construction companies and architects. We prepare and confirm with you and your architect our architectural, electric and installation drawings. All local construction requirements of your country should be followed in your future house and this is responsibility of your architect to ensure it. Our civil engineer will provide your architect with info about load-bearing walls of the basement. Your architect will do necessary documentation for the local authorities. The architect with his team will do drawings for the basement. These drawings must be agreed with our civil engineer. After that local construction company will do the basement for your house. At our factory in Kiev we will produce walls, intermediate floors, roof panels. Then we send the prefab house to you. From two to four people may come to your country to help installing your house for additional cost. Then your local building company will finish your house after installation. electricity and HVAC. It's especially better to do with local companies due to maintenance and warranty in future.